In the past year, since the GOC(K)-SiR Union, a great many voices have been for and against it. The arguments have been gone over and over. However, in the past few weeks, the Russian True Orthodox Church, whose First Hierarch is Archbishop Tikhon of Omsk, has gone from condemning the union to taking in clergy from Greece with the goal of, in their own statement, “restoring True Orthodoxy” to Greece. What follows is an extremely brief opinion about some of the problems that confront the overarching theme of this move. Since this is the author’s opinion, let him state that he does not agree with Cyprianism in the light of Church history; however, the reasoning presented by the RTOC against the GOC-K Union with the SiR has serious problems. RTOC holds that the union was wrong in basis since, according to their arguments, the SiR did not sufficiently renounce Cyprianism (i.e., the ecclesiological position of Metropolitan Cyprian and his bishops, found explained in the well-known “Ecclesiological Position Paper“). RTOC believes this position falls under the 1983 anathema of the ROCOR, and, as such, the SiR falls under anathema. Many appeals from past authors have been brought to confirm this, most notably, Bishop Gregory (Grabbe), who criticized the communion between the SiR and the ROCOR in 1994. However, the position of RTOC, while well-meaning to exclude permanently such a view (i.e. “Cyprianism”), runs into several problems. RTOC itself, in condemning the SiR as heretical, finds itself in a peculiar, if not dangerous, position. RTOC derives from the ROCOR. After the Communion with the SiR was established in 1994, though there was resistance on the part of Met. 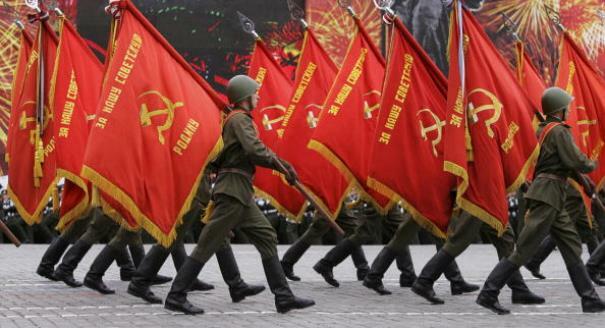 Vitaly, the union was acceded to. In Russia, Metropolitan Valentine of Suzdal and others had already broken communion with ROCOR, so, they were themselves not part of the union (whether it was the main reason or not). However, Archbishop Lazar (Zhurbenko), the most prominent of the Russian hierarchs in Russia in communion with ROCOR, did not sever communion over this. He and others remained in communion with ROCOR during this whole period. In the early 2000s, attempts were made to expel Metropolitan Vitaly from being First Hierarch of ROCOR. Metropolitan Vitaly did not (of course) recognize the attempts to ‘retire’ him from office. Eventually, through an interesting series of events, he found himself free and at Mansonville. Two prominent hierarchs in communion with ROCOR came to publicly support Metropolitan Vitaly: Archbishop Lazar (Zhurbenko) of the ROCOR in Russia, and Metropolitan Cyprian of the Synod in Resistance in Greece. The support of Metropolitan Cyprian was rebuffed, but, the aid of ROCOR bishops in Russia was welcomed. In December of 2001, Metropolitan Vitaly, with four other Russian hierarchs (as well as many clergy), issued a statement ‘terminating Eucharistic communion” with the SiR. They state that the 1994 Communion was ‘rashly’ done. The argument appears to be that the ROCOR bishops did not themselves clearly understand what they were getting into. I will let the readers read the above statement. If the argument is that the ROCOR bishops innocently and ignorantly entered into communion with heretics, there is, of course, some historical basis for such things happening (for example, St. Athanasius’ communion with Marcellus of Ancyra on numerous occasions [despite the remonstrances of St. Basil the Great]; the communion between the Orthodox Church of Old Rome and the Macedonians, etc). However, in this case, the “Ecclesiological Position Paper” of the SiR was sent to each of the ROCOR hierarchs for them to read. I am assuming that they actually did read it (if they didn’t, then, that’s just another problem). In this case, Metropolitan Cyprian’s thesis is clearly and unambiguously presented in the clearest possible terms. What was the result? The Synod of ROCOR voted to establish Eucharistic Communion with the SiR (as well as the Romanian and Bulgarian True Orthodox Churches in communion with the SiR; though, it appears that these two Churches did not seem to hold the position of the SiR). If one argues that the Synod of ROCOR accepted Communion, but, did not accept the conclusions or reasoning for the conclusions of the SiR position (or both), then, it would mean that, whatever else they may have thought, they clearly did not see the SiR position as being heretical. 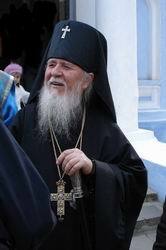 Was Metropolitan Vitaly teaching the “Cyprianite heresy”? Was he expressing an effective conclusion that was similar? I suppose it can be argued that the methodology and system of Metropolitan Cyprian were different than that of Met. Vitaly in reaching a similar conclusion. But what would they be? The “sick/healthy” Church distinction? The “uncondemned heretics need to be called to a Council” view? Granted, both of these views have serious problems, and the arguments used by Met. Cyprian to defend them are seriously lacking and flawed. For example, the Iconoclast bishops, and those consecrated by them, were, in fact, received by Confession of Faith at the Seventh Ecumenical Council, and not treated merely as “Bishops of the Church”. 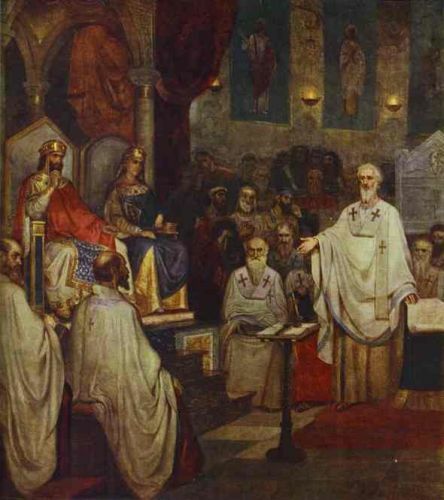 To merely appeal to reception by Confession is erroneous, since, throughout the Ecumenical Councils, it seems to have been standard procedure in the Canons to receive Monophysites, Monothelites, and Nestorians by Confession of Faith (Sigilia); laypeople renounced their heresy and were admitted to Communion, and hierarchs followed a similar procedure, i.e., no laying on of hands was ordered. In the Canons of the Ecumenical Councils, only the manner in dealing with the Novatian clergy does there seem to have been a change from the First to the Second. The Novatian clergy were received through cherothesia according to Canon 8 of the First Ecumenical Council; in Canon 7 of the Second they were treated, with Arians and Macedonians, and Chrismated. Gnostics, Eunomians, etc, were baptized. So, Met. Cyprian’s arguments have serious issues. However, in the end, Metropolitan Vitaly in 1986 came to the same conclusion as Metropolitan Cyprian, i.e., he refused to say the World Patriarchates were without Grace. This was being taught after the 1983 Anathema. So, how does the 1986 Encyclical, the 1994 vote to establish Communion with the SiR, and the continuous communion with them, fit into the decision of the December, 2001, Sobor at Mansonville? The best one seems to be able to figure is that Metropolitan Vitaly and the other bishops and clergy there felt they had made a grievous error in Communion with the SiR. However, was this simply a quantitative error, which happens so often in Church history, or, rather, a qualitative error? Was it something profoundly theological in character that cut off ROCOR from the Church? The manner and answer to this question will determine all future statements of RTOC. Are the RTOC Conclusions Reasonable? It is noticeable that Abp. Lazar (Zhubenk0) did not sign the decree. Perhaps he was not there? Did he affirm the conclusion via letters? Considering the fact that Archbishop Lazar, the figure who figures so prominently in RTOC and Catacomb history of the 1980s and 1990s, held a view similar to Metropolitan Vitaly’s 1986 Encyclical, is an important piece in this puzzle. Did he come to a different conclusion later? Did he maintain his old position? Archbishop Lazar was always clear that he did not serve or commune people in the MP, though, he did not say they did not have the Grace of the Mysteries. This seems to have been a ‘walling off’ position. All these views are perfectly acceptable as of 2009 in the RTOC. Yet, RTOC condemns the GOC(K) union with the SiR. If anything, the GOC(K) document is more specifically negative, and lays out more of a plan about the method to deal with World Orthodoxy(i.e. 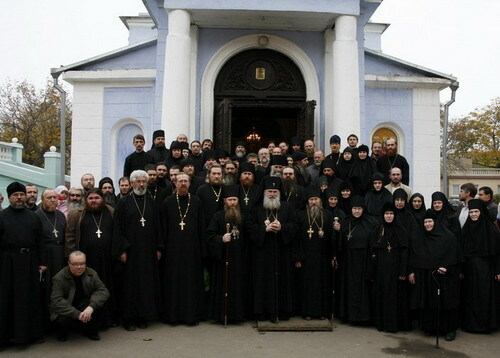 a “Major Synod of True Orthodoxy”). The RTOC statement, on the other hand, seems to only envision a final and binding judgment being rendered with regard to the status of the Sergianist-Ecumenist MP Sacraments. But, how is this true, considering the fact that, as Bp. Gregory (Grabbe) notes, a Russian translation of the “Ecclesiological Position Paper” was presented to each of the ROCOR bishops (in a beautifully bound volume, even with the pre-Revolutionary Russian orthography at that)? They seemed to have read the document and voted on it. Another point would be that RTOC says its Sobor in 2008 said, “We deny the existing adverse opinions that heretics and schismatics are not cut off, and so-called ‘sick members of the Church’…” But, then, we must ask, does the RTOC consider the Moscow Patriarchate to be heretics and schismatics? If they do, then the question is what do we make of the 2009 Document on the Reception of Sergianist Clergy already mention which says the Synod does not have the competency to render a final judgment on the matter? Would the argument be that the sick/healthy methodology is where the real error lies? We may ask, “Why does this matter since the Synod in Resistance formally disbanded and all their bishops joined the Synod of the GOC under Archbishop Kallinikos?” Well, it matters because the argument used to state that the GOC(K) cannot be considered Orthodox is due to their reception of the Bishops of this former Synod, and their supposed lack of a clear renunciation of Met. Cyprian’s position as an heresy. If, on the other hand, it can be shown that a similar position is held, or tolerated by the RTOC, how does this affect the argument? It would seem to weaken this criticism of RTOC. Now, it is, of course, possible to say similar end conclusions or statements can be reached, but, with totally different forms of reasonings and assumptions. Met. Vitaly’s 1986 Encyclical was apparently given before he had even heard of ‘Cyprianism’, and was thus formulated, after the 1983 Anathema, in a totally different context. The RTOC Synod could perhaps say that the statement from their 2009 Document is based upon different assumptions, and excludes the sick/healthy distinction, but, still allows for personal belief of their being the Grace of the Mysteries in the Moscow Patriarchate. Perhaps this is the answer? But, if this is so, we are still left with the above problems of the several years of official Communion with the SiR and the RTOC originator body which it was in communion with, the ROCOR. How is it that ROCOR is granted the leniency to be a true Church during all this time, yet, the GOC-K, which is far stricter than the ROCOR or the defunct SiR, cannot be granted this leniency, especially as it accomplished the dissolution of the SiR? If the RTOC Synod admits it is not competent to render a final and binding judgment on the MP, then, perhaps, it should also consider that it is no competent to render a final and binding judgment upon the GOC(K). Certainly, the GOC-K is no Moscow Patriarchate! One does not have to hate RTOC to say that some of their argumentation has not been clear in reference to history. To say, “The ROCOR Sobor in 1994 was mistaken, but didn’t place them out of the Church,” yet, to then state, “The Archbishop Kallinikos and his bishops are heretics because they took into their Synod these same folks the 1994 Sobor accepted,” and base this upon a 2008 decision (which seems not to take into account the agnostic grace position of a 2009 paper), is not the best reasoning. The RTOC is a great jurisdiction; it had well-known and respected figures like Archbishop Lazar (Zhurbenko), and other Catacomb confessors. It has, like the ROAC, been under pressure that True Orthodox in Greece or America do not experience. For this reason, it deserves respect for its continual struggle for Orthodox Christianity and how its members follow the Gospel of Our Lord God and Saviour Jesus Christ. This is not an attack upon RTOC itself, but, rather, a short critique of the reasoning they have been presenting. RTOC, and others, have, for some time, admitted the principle of critiquing the reasoning of recent Sobors of the Church, as evidenced by their position on the 1994 Sobor; yet, who would interpret this critique as saying that ROCOR in 1994 ceased being the Church? It cannot be interpreted in such a way without destroying the basis of RTOC.